Propelled by our obsession with writing lists of things we like, the editors are sharing a few things that brought them joy this week. We won't call it self help, but we encourage you to give it a whirl. You'll smile. NB: That vegan meringue is made with chickpea water! More about it here. Care to share your list? 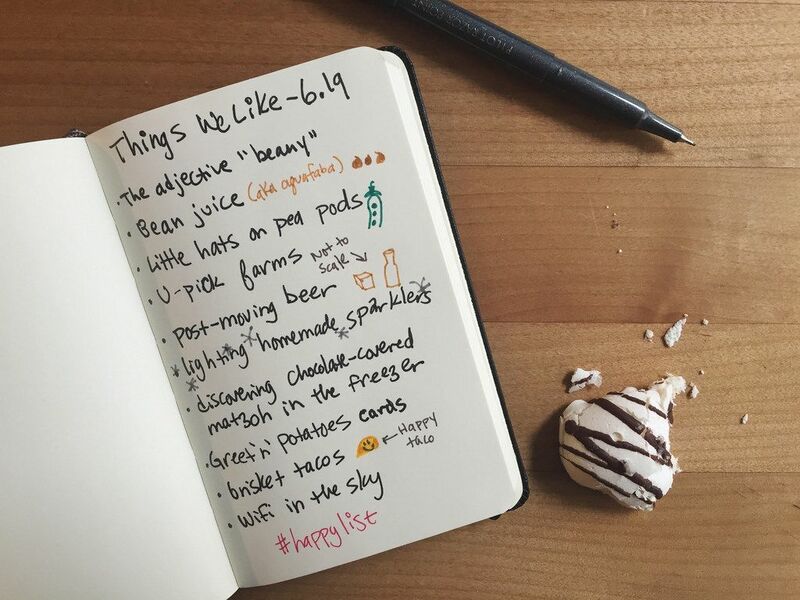 Add it to the comments or Instagram it with the hashtag #happylist. I love this weekly column. And now I'm DYING to know how one goes about making homemade sparklers!